As I have discussed in many articles on the site, the primary role of carbohydrate in the body is energetic, that is it is broken down in cells to provide energy through a variety of pathways. 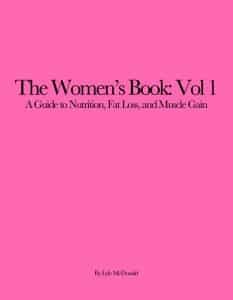 At the same time, strictly speaking, carbohydrate is not an essential dietary component; that is, you can survive without eating it at all (an explanation of essential vs. inessential nutrients can be found in A Primer on Nutrition Part 1). How many carbohydrates should be consumed in the human diet is a topic of endless debate and controversy, I’d refer readers to How Many Carbohydrates Do You Need? for a detailed look at the topic. The term monosaccharide refers to a single ‘sugar’ molecule (‘mono’ = single; saccharide = ‘sugar’) and are often referred to as simple sugars. The monosaccharides are glucose (blood sugar), fructose (fruit sugar) and galactose (milk sugar). I should mention that there are other monosaccharides but the above three are the ones primarily found in the diet. One that does come up on fitness forums (due to its use in many sports products) is dextrose which is simply d-glucose. The ‘d’ refers to the chemical structure (normal glucose would be more accurately described l-glucose and you can technically have both d- and l-fructose) and I’ll leave it to the organic chemistry nerds to worry about it beyond that. Simply recognize that both dextrose and glucose are a form of glucose (effectively they are molecular mirror images). Read a Primer on Dietary Carbohydrates – Part 2.